I have been a criminal lawyer in Jacksonville for a while. I have represented people for a variety of crimes. I have represented people that were arrested or issued a notice to appear citation at the Florida Georgia games. Arrests associated with the Florida Georgia game are normally alcohol related. Many people are given citations for possession of alcohol by a minor in Jacksonville. Some people are arrested for DUI or disorderly intoxication in Jacksonville on that weekend. Although I have represented a large amount of people for Jacksonville petit theft and grand theft charges, I cannot say that I have ever represented someone for a Jacksonville theft charge that occurred at the game. While crime may have been down, people were still getting arrested. There are people that will merely plead no contest to a criminal citation and not hire a Jacksonville lawyer to help them. They will likely end up with a Florida criminal record without even realizing it. Just because you received what looks like a Jacksonville traffic ticket, does not mean that it will not show up on a background check. It is a good idea to talk to a Jacksonville attorney about it first. Man accused of stealing school buses for FL GA game day shuttles. Rock has been accused of stealing the buses to use them as shuttles. This Jacksonville grand theft auto appears to be linked to several other thefts. 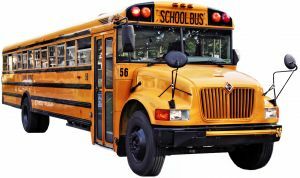 Flagler County Sheriff James L. Manfre stated, “It appears these buses were stolen as part of an elaborate theft ring operating in Northeast Florida and South Georgia.” There is now a statewide investigation “under way in school bus thefts throughout Florida.” Police will likely obtain information about other suspects from the defendants in other criminal cases. They may give information to mitigate their own punishment. Before talking to the police, they should certainly speak with Jacksonville criminal lawyers about their circumstances.